Physical Therapy is a Pathway to Better Mobility. Physical therapy is a treatment that focuses on improving a person’s function, whether it’s related to bones, joints, muscles or nerves. Whether our service becomes necessary as a result of an injury, wear and tear, or as part of the aging process, you will receive individualized, hands on patient care. 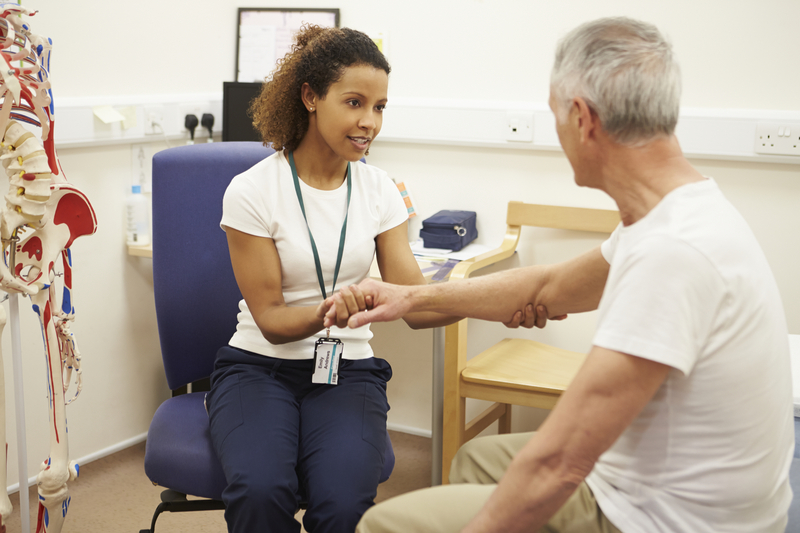 A physical therapist will provide knowledge and compassion to get the most out of every therapy session. As part of the recovery process, each patient will learn exercises to strengthen weakened areas while improving flexibility, mobility and decrease the risk for future injury. Age Gracefully. Stay Active. Enjoy Life! At A.U.M., we believe the most effective treatment includes educating patients to maintain proper body mechanics to relieve physical stress. Applying preventative measures will help patients in defraying some of the ailments that accompany aging, and allowing for greater independence in the golden years.